You can use the invoice designer feature to modify your invoice templates and add existing invoice fields to your invoices. First find out which invoice template you are using. 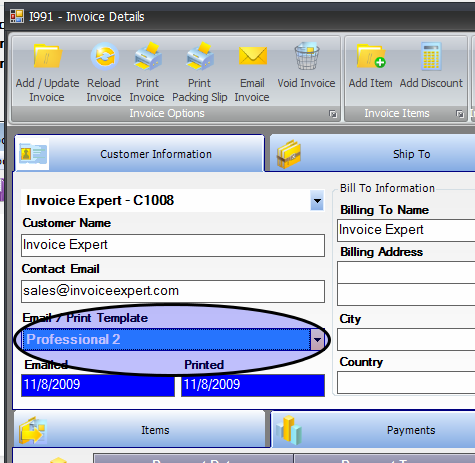 Make sure to click add/update if you decide to change the invoice template. 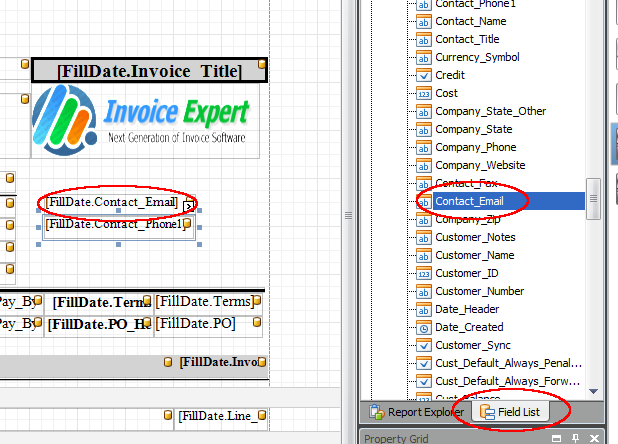 Lets add the contact phone and email to the invoice template. Click the "Field List" tab on the right side beside the "Report Explorer" tab. 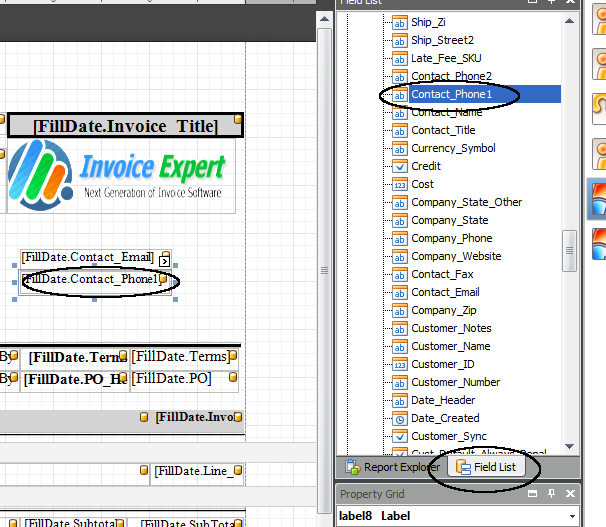 Then click the "+" beside the FillDate. Scroll down and find Contact_Email and drag that onto the template. Scroll down and find Contact_Phone1 and drag that onto the template. See the screenshots below for details. You can also add other fields like the delivery date. Tip: To search, click on any field in the Field List, then start typing. This will highlight fields that match below your cursor.